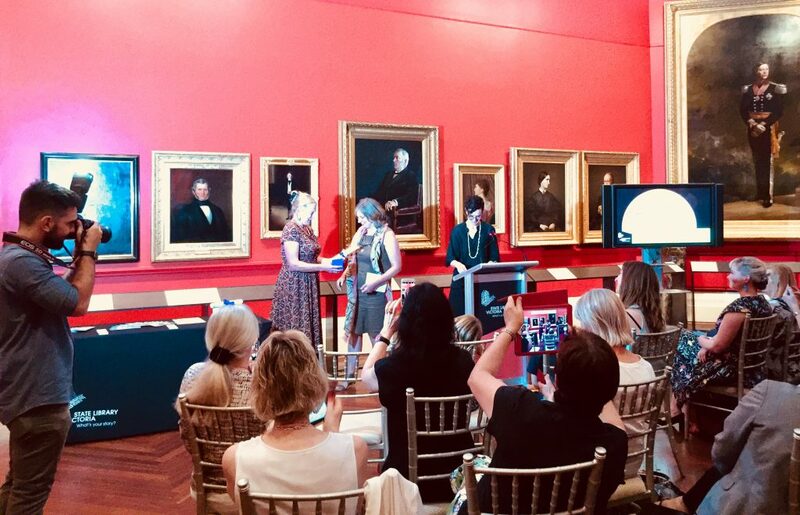 Today publisher Erica Wagner was awarded the Dromkeen Medal for outstanding achievement in the creation of Australian children’s and young adult literature. We at Allen & Unwin can’t think of a more deserving recipient! Erica has been one of Australia’s most ground-breaking editors and publishers since her first job in publishing in 1988, fostering the careers of many wonderful authors and illustrators, and always championing innovation and creativity. Since 2000, Erica has been a driving force in shaping our children’s and YA list, a generous mentor to younger editors, and a much-loved colleague. Congratulations, Erica! Thank you so much to my colleagues, to the fantastic team at Allen & Unwin – whose cleverness and sense of fun I appreciate so much every day – and to every author, illustrator and colleague I’ve ever worked with – this is your medal too! Read Erica’s insightful acceptance speech in full here. Erica’s passion and publishing acumen have helped shape Australia’s thriving children’s and youth literature scene. 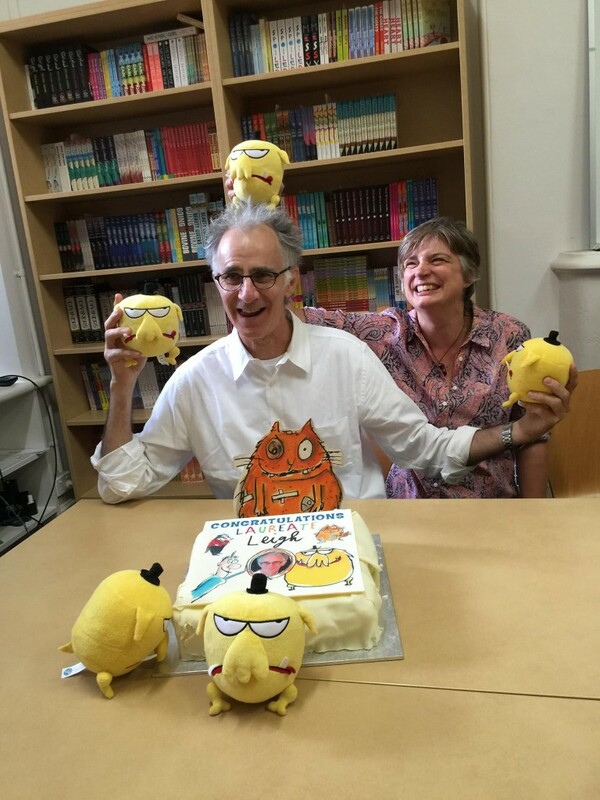 She has been instrumental in publishing some of Australia’s best loved children’s authors including Leigh Hobbs, Judith Clarke, Paul Jennings and Morris Gleitzman, delighting young readers everywhere. The judging panel noted that Erica has a history of finding and nurturing writing and illustrating talent, and has established career-long relationships with many of the creative people with whom she works – read on to learn more about Erica’s career. 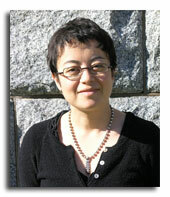 Erica Wagner started as a trainee editor at Penguin Books in 1988. She couldn’t type when she started (glossed over in the job interview), but Erica was a fast learner, and that and her boundless energy saw her fly up the ranks to Associate Publisher. And a ground-breaking publisher she was. Erica was instrumental in developing YA literary fiction as a ‘genre’ in Australia. Many authors benefited from this passion and advocacy including Sonya Hartnett, whose first YA novel, Wilful Blue (1994), was championed by Erica. In the face of eighteen months of Penguin’s reluctance, Erica argued the novel’s case for publishing. Penguin thought the book too strange, its subject matter too hard, its characters too old to qualify it as a work for young adults, but Erica backed the book fiercely, and in securing its publication so she helped broaden the definition of YA novels in this country. For me, during that long eighteen months, she was my voice, my muscle, my champion. 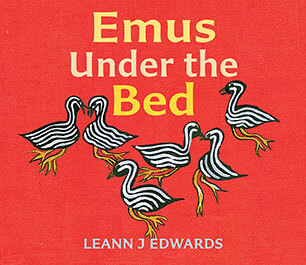 Erica was also an early supporter of Leigh Hobbs, advocating for Old Tom (1994) when few irreverent illustrated books were being created for Australian kids. 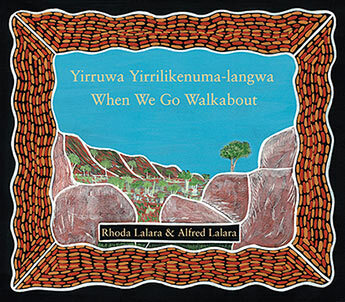 Currently Australian Children’s Laureate, Leigh’s worked with Erica on 17 of his 22 books over 25 years. A huge portion of any of the success I enjoy…is due to Erica’s wonderful creative intuition and instinctive gifts as an editor. Erica also worked with the likes of Melina Marchetta, Isobelle Carmody, Maureen McCarthy, Morris Gleitzman, Paul Jennings, Terry Denton and Craig Smith. In 1998, Erica left Penguin to start her own imprint, Silverfish, at Duffy & Snellgrove. Always hungry to further her understanding of kids’ books and promote the quality of kids’/YA writing coming out of Australia, she then went overseas in 1999 as the first ever children’s book editor recipient of the prestigious Beatrice Davis Fellowship. When Allen & Unwin bought Silverfish in 2000, Erica and her prestigious list— including Judith Clarke’s CBCA winner Wolf in the Fold — became part of A&U, the beginning of another successful chapter in her publishing life. Allen & Unwin has been shaped and formed by Erica’s acumen, by her vision, and by her ability to coax the best work out of authors and illustrators. 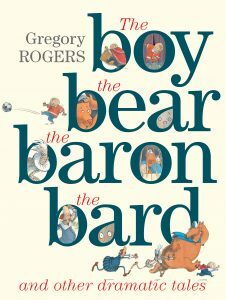 From the outset a brave publisher, she helped establish sophisticated picture books for older readers, publishing acclaimed titles like Gregory Rogers’ The Boy, the Bear, the Baron, the Bard (2004) and Armin Greder’s The Island (2007). 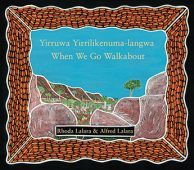 Passionate about Indigenous stories, Erica published Aboriginal voices like Boori Monty Pryor’s ground-breaking memoir Maybe Tomorrow (1998), written with Meme McDonald, and Mary Malbunka’s When I was Little Like You (2003). 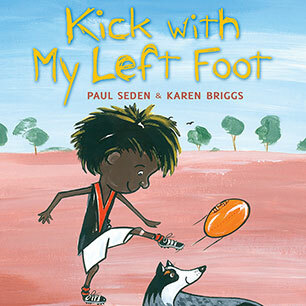 She also championed the Emerging Indigenous Picture Book Mentoring Project, a joint initiative between the Little Big Book Club and A&U, nurturing exciting new creators like Paul Seden and Karen Briggs. 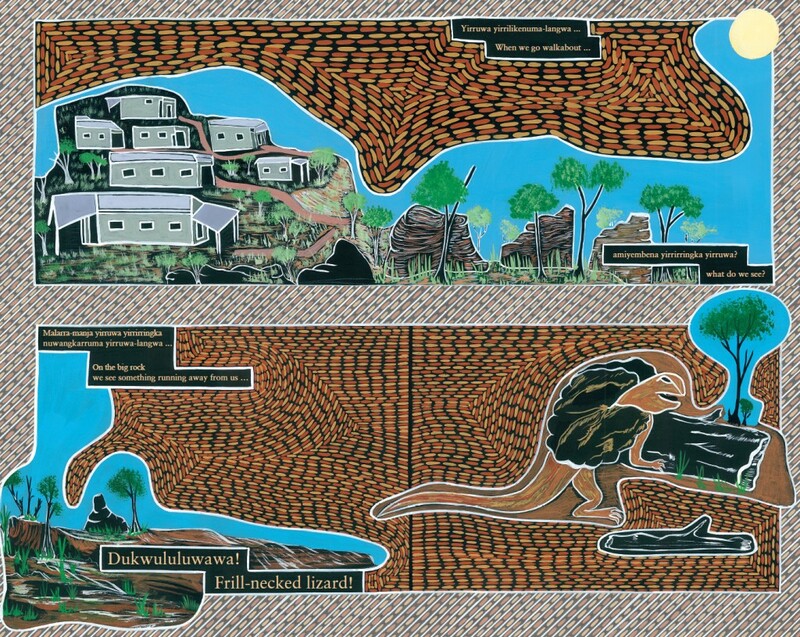 Erica was the powerhouse behind Australia’s first trade kids’/YA graphic novels. It took five years of careful, passionate internal advocacy to publish Nicki Greenberg’s Great Gatsby (2006) and then CBCA-winning Hamlet adaptations, to great acclaim. Multi-award-winner Trace Balla (Rivertime, Rockhopping) has since followed. Erica also has a keen eye for those special international titles and is the publisher who discovered and brought to Australian readers foreign language classics such as Hervé Tullet’s ground-breaking picture books Press Here, Mix it Up! and Say Zoop! The Allen & Unwin publishing program is much richer and diverse for Erica’s involvement. 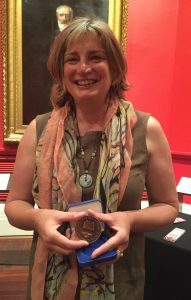 Erica Wagner is one of the great forces to shape children’s publishing in Australia, and we cannot think of a more apt winner of the 2017 Dromkeen Medal. Not only is Erica eminently deserving, given her lifelong commitment to the betterment of literature in this country: but it is the least that l, and so many others, owe to her. 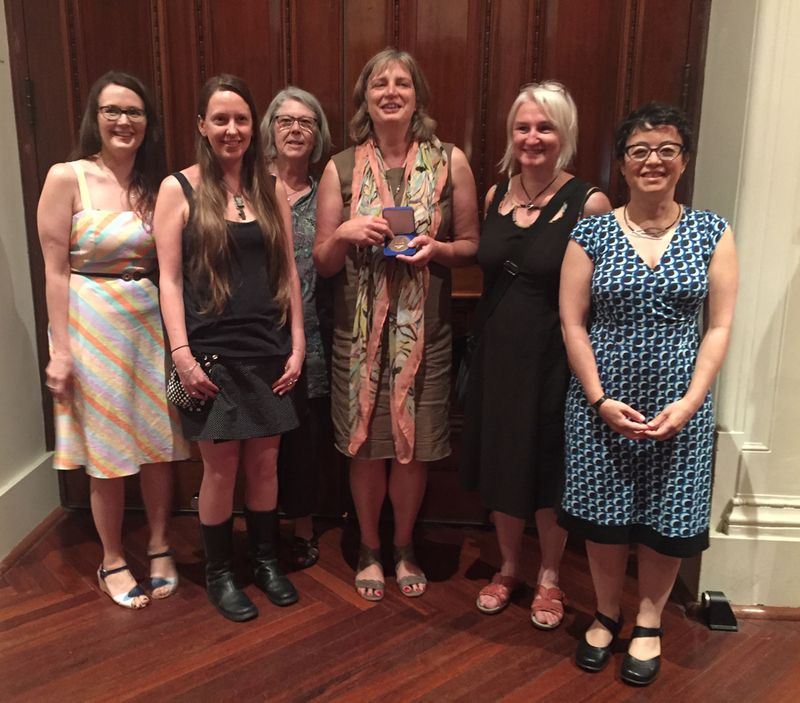 Read Erica’s acceptance speech in full, which provides a fascinating insight into her career in publishing, and the changes over 30 years of Australian children’s and YA literature. Erica with her fellow Alien Onions.